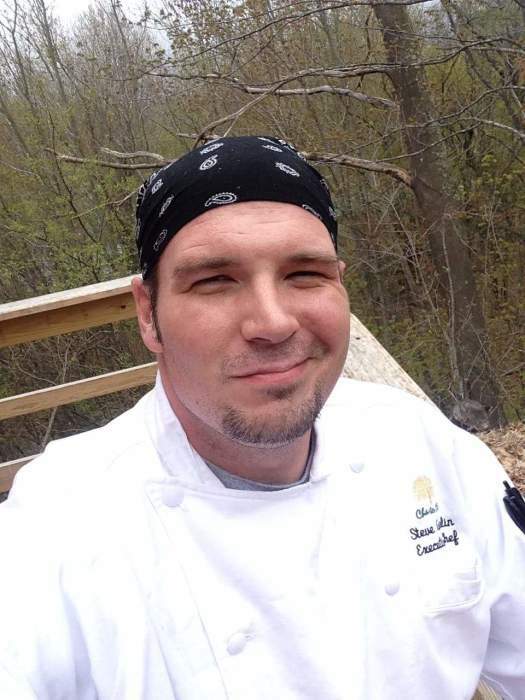 MANCHESTER- Steven M. Asselin, 37, of Manchester, passed away on Wednesday, August 22, 2018. Steven was born in Nashua on December 29, 1980 and was the beloved son of Daniel and Denise (Deering) Asselin of Merrimack. Steven loved cooking and he had been employed as an executive chef with the Crown Tavern in Manchester. Besides his parents, Steven is survived by one son, Bailey Asselin of New Boston; his paternal grandmother, Annette Asselin of Nashua; one sister; Sarah Asselin of Merrimack; one brother, Ryan Asselin of Manchester and many aunts, uncles, nieces, nephews and cousins. Relatives and friends are invited to his visitation on MONDAY, August 27th from 5 until 7 PM at ANCTIL-ROCHETTE & SON FUNERAL HOME, 21 Kinsley Street, Nashua. Services will follow in the funeral home at 7 PM.